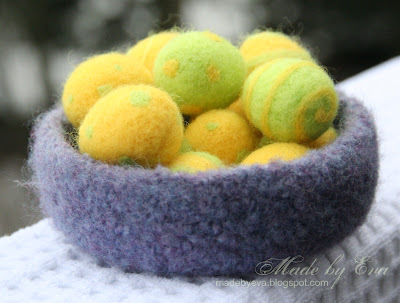 With my very last skein of lilac mix yarn, I made a little bowl/basket/catch-all. 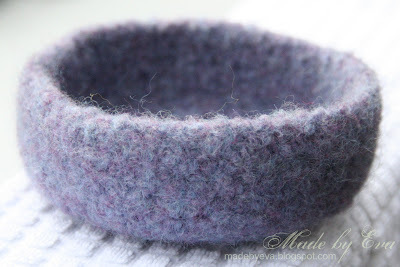 I don't know what this one will hold exactly, maybe some felted easter eggs...? For the interested, here's the Ravelry link with details about the project. These are so lovely and your pics are so bright and clear too!